Cookies are small pieces of data created by a web server and stored on a user's computer. When the user opens a web page, the browser sends the corresponding data to the server. They serve for auto-filling login and password, remembering user's preferences, collecting statistics, etc. Open the Search box or use the Cortana widget. In Windows 10, the Search box is located on the Taskbar near the Start button. In Windows 8 / 8.1, use the menu on the upper-right corner of the screen or right-click the Start button to access the search field. Type Control Panel into the search box and press Enter. 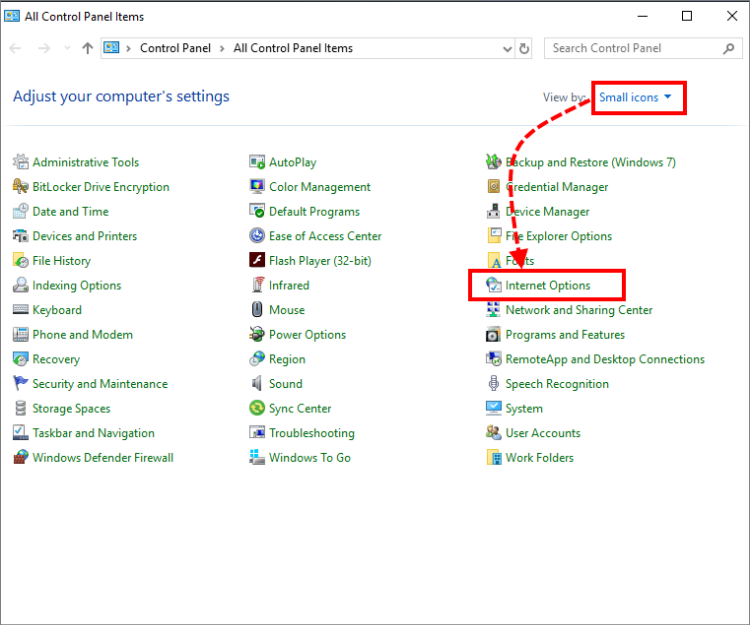 In the Control Panel window under View by select Small icons and in the Adjust your computer’s settings list select Internet Options. 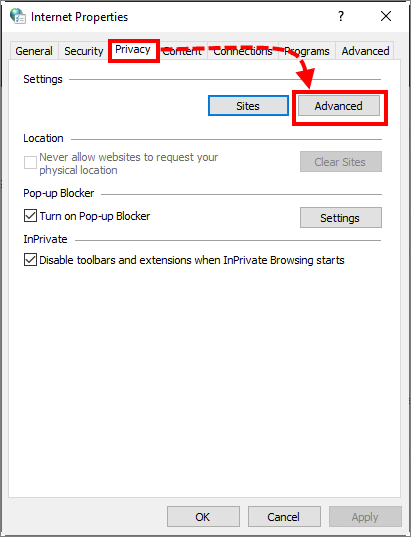 In the Internet Properties window go to the Privacy tab and under Settings click the Advanced button. Select Accept for First- and Third-party Cookies. 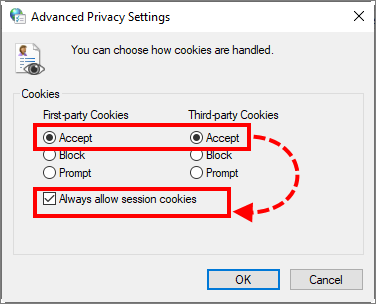 Select the checkbox Always allow session cookies and click ОК. In some versions of the Windows OS you may recognise it Override automatic cookie handling. Select this checkbox as well. Cookies will be enabled in Internet Explorer. Right-click the Start button and choose Control Panel. In the Control Panel window under View by select Small icons for Windows 7 or click Switch to Classic View for Windows Vista, XP. Select the checkboxes Override automatic cookie handling or its equivalent and Always allow session cookies. Select Accept for First and Third-party Cookies and click OK. In the upper right corner of the screen click on the menu icon and select Settings. In the Privacy and security section click Content settings. Put the switch Allow sites to save and read cookie data (recommended) in an on position. Cookies will be enabled in Google Chrome. In the upper right corner of the screen click on the menu icon and select Content blocking. Default settings will be set and cookies enabled. Click the application icon the upper left corner of the screen and select Menu. Click Advanced → Privacy & security and then click Content settings. Cookies will be enabled in Opera.